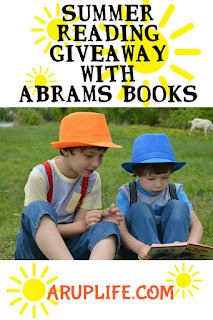 A RUP LIFE: THE KID’S AWESOME ACTIVITY BOOK by Mike Lowery Review & Giveaway! 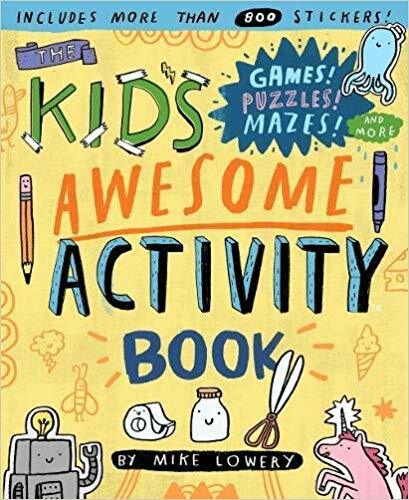 THE KID’S AWESOME ACTIVITY BOOK by Mike Lowery Review & Giveaway! 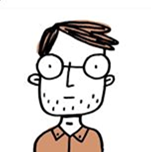 I've been a big fan of Mike Lowery's books since his Doodle Adventures series. Those were a lot of fun. The Kid's Awesome Activity Book is equally wonderful. 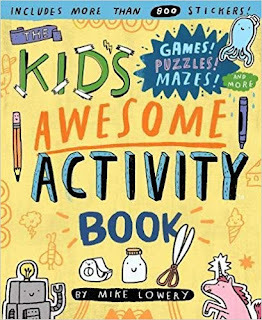 At first you might think this will be a typically kid's activity book with crosswords and mazes but it is so much more. There are lots of pages that punch out for activities like making a face mask or finger puppets. There are pages to draw and lots of Lowery's artwork littered on all of the pages. This is really the book to take on those long car rides or to visit your great-aunt when you need your child to be entertained quietly! 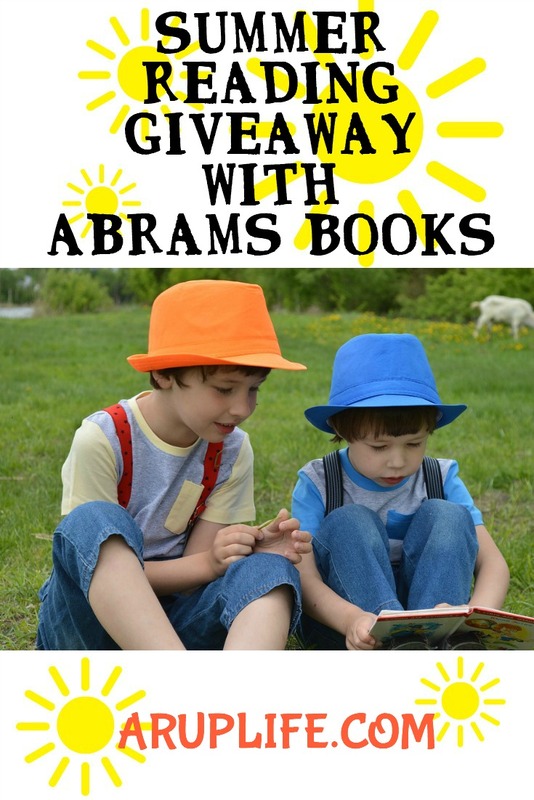 One lucky reader will win a copy of The Kid's Awesome Activity Book!